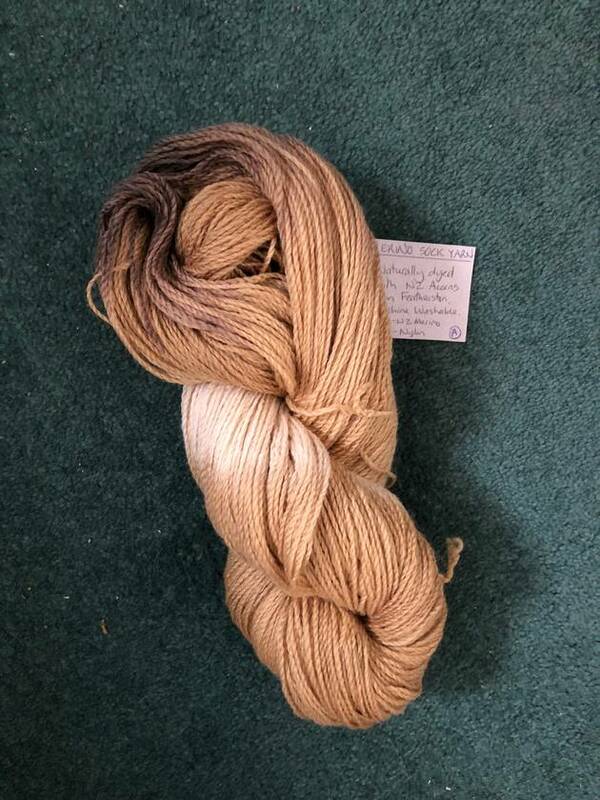 100 hank of NZ merino sock yarn ( 20% nylon for extra strong socks, machine washable) naturally dyed with acorns from my tree in the Wairarapa. The socks will knit up to achieve a white and black fleck against a golden main colour. Contact trubywool to enquire about payment or shipping options.